I have always been a fan of personalization and when I was expecting my little girl, it was a natural thought for the designer in me to want to get something unique, symbolic and most of all a personalized mark for my daughter. Cheerful, caring, intelligent, mischievous are just some of the adjectives I'd use to describe my doe eyed 'Little Miss Sunshine'. She is the light of our lives and creating a 'stamp' of her personality is my gift to her. 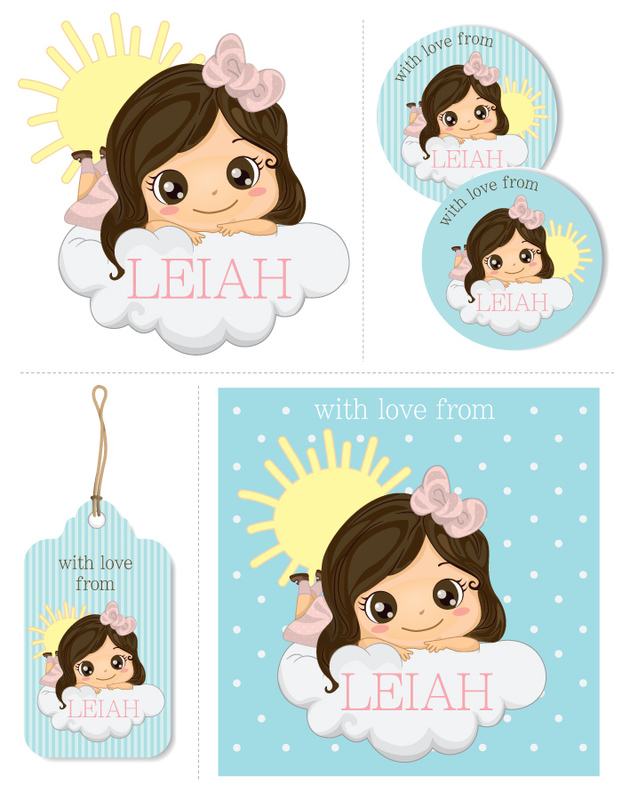 Below is my own interpretation of Leiah's vibrant personality... I can now use this to personalize invitations, addresses & gift tags, school bag stickers, the works! This set includes a folded card, gift tags and stickers.